Transferred on loan from Royal Australian Air Force 02 January 1945. 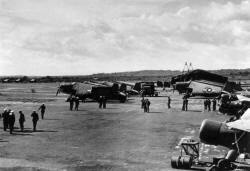 18 March 1946, returned to R.A.A.F. control. Captain H. G. Dickinson D.S.C. Sydney lies 80 miles NNE. Access to the metalled road running NNW. form R.A.N. college to Nowra township, distant 25 miles (R); main road thence to Sydney. There is a railway terminus on the line from Sydney at Bonaderry,1¾ miles (R) of Nowra. Mobile flying control provided by MONAB 5. 08/26 QDM. 085° -265° .... 1665 x 50yds. 15/33 QDM. 154° -334° .... 1665 x 50 yds. Taxi tracks run parallel to the NE. side of runway 15/33 and the S. side of runway 08/26. Hill (650') 1½ miles ESE. of the E. end of the runways. Land rising to 300' above runways distant 2000 yds. ESE. from the "33" end of runway 15/33. No dedicated living quarters on site, what few permanent buildings are on site can accommodate approximately 400 personnel. Tented accommodation available from MONAB 5. Two aprons, each 250 x 60 yds. two about 250 x 30 yds, and one about 150 x 50 yds. No permanent hangers, portable Dorland hangars supplied by MONAB 5. Mobile workshops only provided by MONAB 5. A small number of Stinson Reliant were operated as a station flight. Personnel assembled here at the beginning of March 1945 before moving to RNAS Schofields (MONAB 3) 06.03.45 to form up and commission. Moved here from RNAS Bankstown 01.05.45. 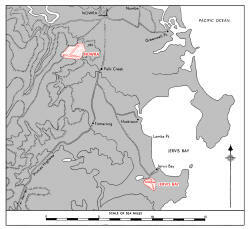 Moved to RNAS Nowra 04.06.45. Equipped with 8 x Martinet TT.1 and 8 x Corsair. Disembarked from HMS IMPLACABLE 07-25.05.45. Disembarked from HMS VENGEANCE 22.07-13.08.45. Disembarked from HMS COLOSSUS 22.07-13.08.45. Disembarked from HMS IMPLACABLE 07-24.05.45. Disembarked from HMS GLORY 22.07-11.09.45. Moved to RNAS Nowra 29.10.45. Disembarked from HMS FORMIDABLE 01-22.06.45. Equipped with 12 x Firefly I. Equipped with 18 corsair IV. Moved here from RNAS Maryborough 14.07.45. Moved to RNAS Nowra 22.07.45. Equipped with 18 x Corsair IV. 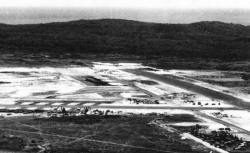 The airfield at Jervis Bay was built for the Royal Australian Air Force as a satellite to R.A.A.F Nowra, 15 miles to the North-West. 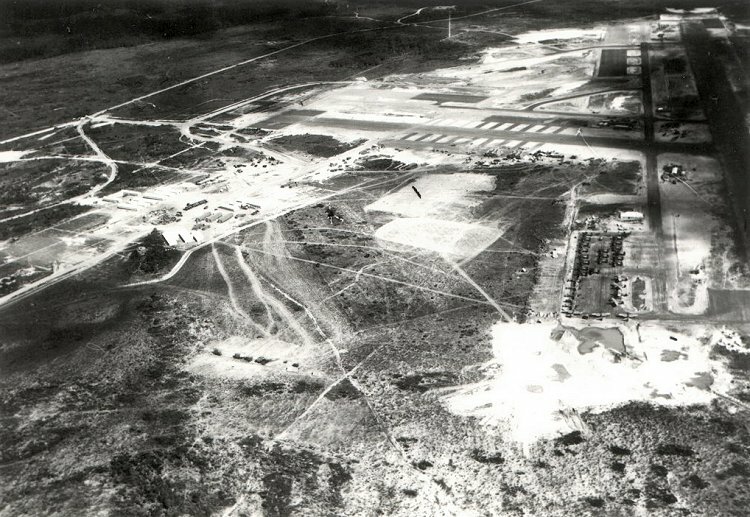 The airfield was still under construction when Nowra was transferred on loan to the RN on January 2nd 1945, only runways, taxi ways and aircraft parking areas were completed before transfer to RN control. This transfer was part of an agreement with the Australian government to loan airfield facilities to the Admiralty (there were six in total) to support the naval aviation elements of the newly formed British Pacific Fleet which was to arrive in Australian waters at he the in February 1945. 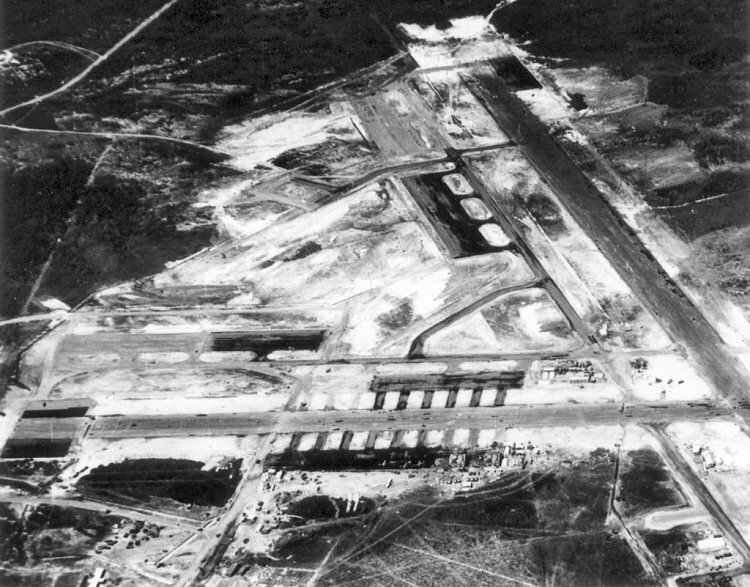 The airfield at Jervis Bay was commissioned as H.M.S. NABSWICK, Royal Naval Air Station Jervis Bay on May 1st 1945. 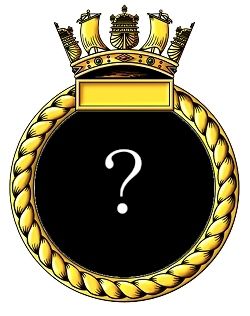 The unit’s commanding officer, Captain H. G. Dickinson D.S.C., had arrived in Australia by air at the start of March and he temporally assumed command of MONAB I at Nowra on March 7th; he resumed command of MONAB 5 on commissioning at Jervis Bay. The unit received its first squadron on May 1st when 723 Fleet Requirements Unit (FRU) arrived from RNAS Bankstown (MONAB 2) flying a mix of 8 Corsairs and 8 Martinet Target Tugs. 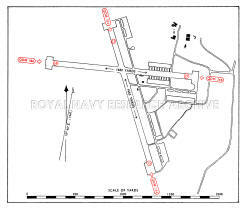 Four front-line squadrons arrived on May 7th when the elements of 30 Wing disembarked from HMS IMPLACABLE; this included the Fireflies of 1771 squadron, Avengers of 828 squadron, and Seafires of 801 & 880 squadron. They were to spend two weeks ashore before re-embarking in IMPLACABLE, 1771 & 828 on May 24th, and 801 & 880 joining them the following day. The next unit to arrive was 1843 squadron which flew in their Corsairs from RNAS Maryborough MONAB VI) on July 12th, the squadron was intended for the new No. 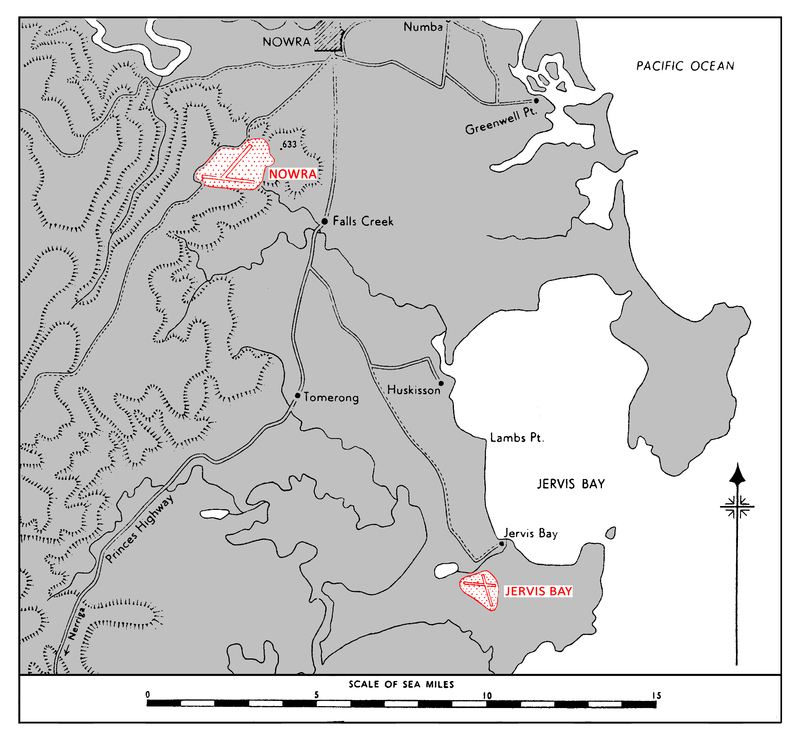 3 Carrier Air Group, which was to form at Nowra and was located at Jervis Bay until room was available for it there; the squadron moving there on the 20th. 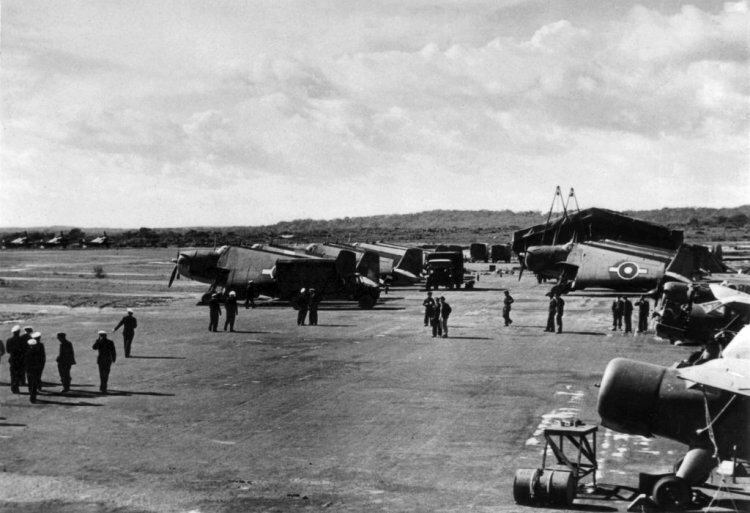 A further four squadrons arrived on the station on June 22nd when 812 squadron's Barracuda s & 1846 squadron's Corsairs, disembarked from HMS COLOSSUS, along with 827 squadron's Barracudas & 1850 squadron's Corsairs disembarked from HMS VENGEANCE. These units were to stay until August 13th when they re-embarked in their carriers. On August 15th the Japanese surrendered and VJ Day was celebrated at Nowra by members of both MONABs I & V. This was to mark the beginning of a quite period at Jervis Bay, a situation which was to continue into early September when 837 squadron's Barracuda s & 1831 squadron's Corsairs disembarked from HMS GLORY on September 11th. They were to remain until October 29th when they moved to Nowra. 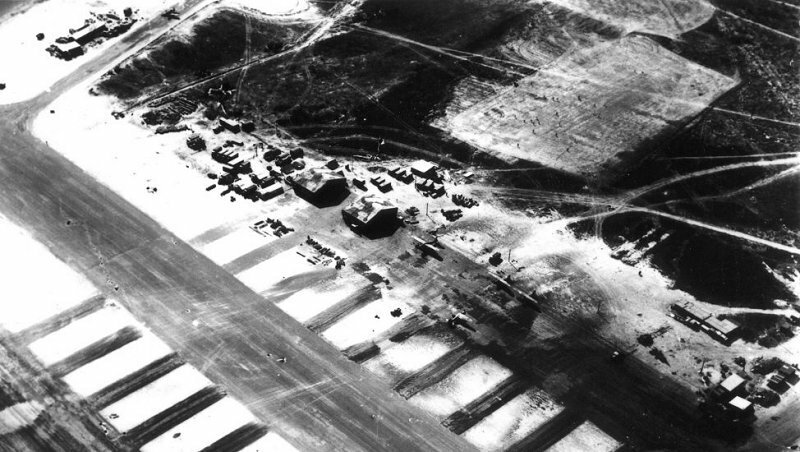 As part of a review of the naval air support in the Pacific theatre the Admiralty announced that four Mobile Units were to close in early November 1945, these were to be MONAB 1, 3, 4 and 7; MONABs 2, 5 & 6 plus Transportable Aircraft Maintenance Yard (TAMY) 1 would continue operations in support of the fleet and the reception and disposal of aircraft arising from the disbandment of squadrons as the BPF began to reduce it's size. 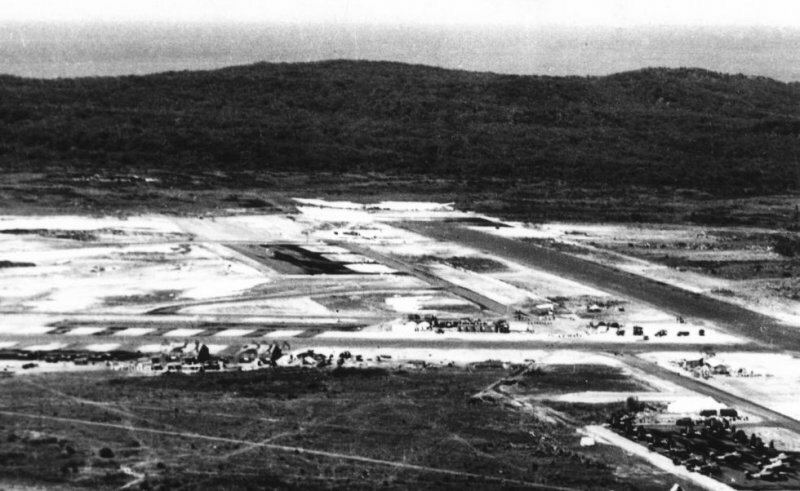 The airfield at Jervis Bay was no longer required to operate at the same level as during the war, consequently as part of the reorganisation and scaling down of the RN presence in Australia MONAB V was transferred to RNAS Nowra replacing MONAB I which was to pay off..
MONAB V transferred to RNAS Nowra on November 15th 1945 replacing HMS NABBINGTON which was paid off on this date. Jervis Bay airfield now reverted to a tender to RNAS Nowra. 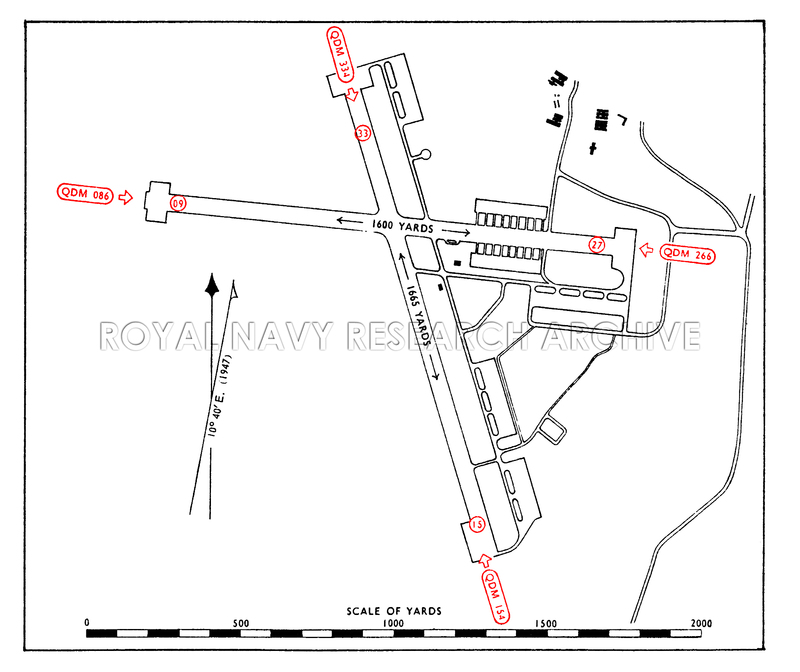 When HMS NABSWICK, paid off at Nowra on March 18th 1946, both airfields were returned to R.A.A.F control.